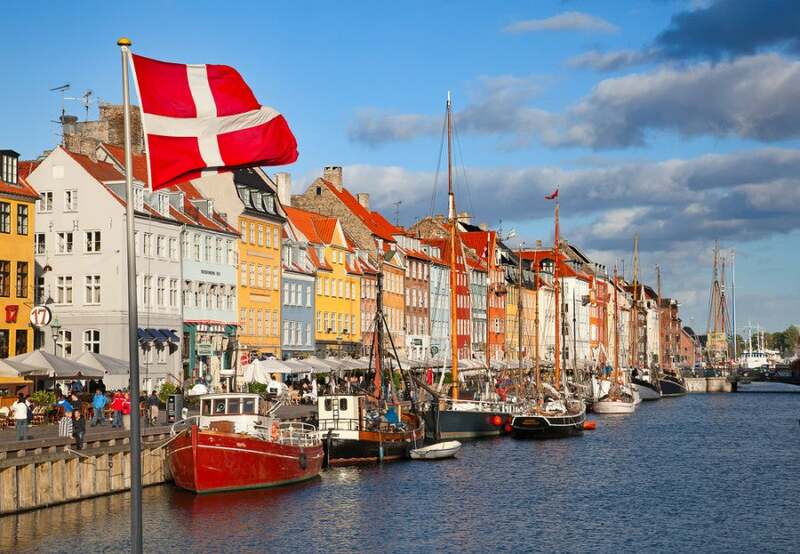 Know Before You Go: While Norwegian Air has no airline partners, SAS Scandinavian Airlines flies between many cities in the region and can be booked via and/or earn mileage with United MileagePlus. Also, these are already expensive cities, so be sure to use credit cards that don’t charge foreign transaction fees. 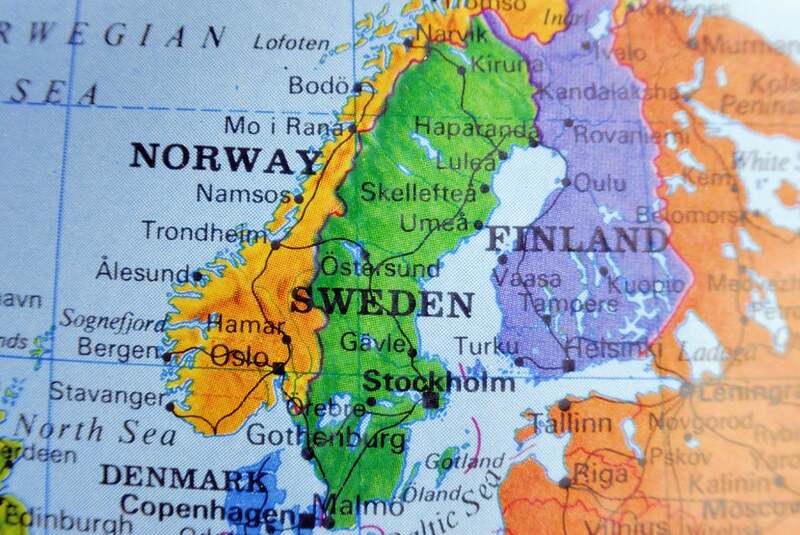 Scandinavia is a long way from the US, but happily, three of its capitals are close together. Image courtesy of Shutterstock. There’s so much to love about these three Nordic capitals of Copenhagen, Denmark; Oslo, Norway; and Stockholm, Sweden. In addition to enjoying an arguably higher standard of living than ours in the US, the folks who live here really know how to show travelers a good time. Hej (hello), Copenhagen! Image courtesy of Shutterstock. Church of our Saviour. Vor Frelsers Kirke isn’t just a church you look at; it’s a church you look out from. For 35 DKK ($5), it’s the cheapest thrill in town. Start from the inside and take the spiral staircase past the church bells, up the tower and then outside. The stairs get more and more narrow as you circle the copper spire, giving you a 360-degree view of Copenhagen; on a clear day, you can see as far as Sweden. Höst. While Noma is often regarded as the best restaurant in the world (with prices to match), I loved the more affordable Höst. My party got a same-day reservation and ordering the Signature Evening menu (775 DKK or $90) brought not only the promised three courses and wine pairings, but several bonus dishes. as well (including a second dessert!). Though sometimes bordering on parody of avant-garde dining (did the cheese really have to be served in a hollowed-out rock? ), the portions are generous and the flavors sublime. 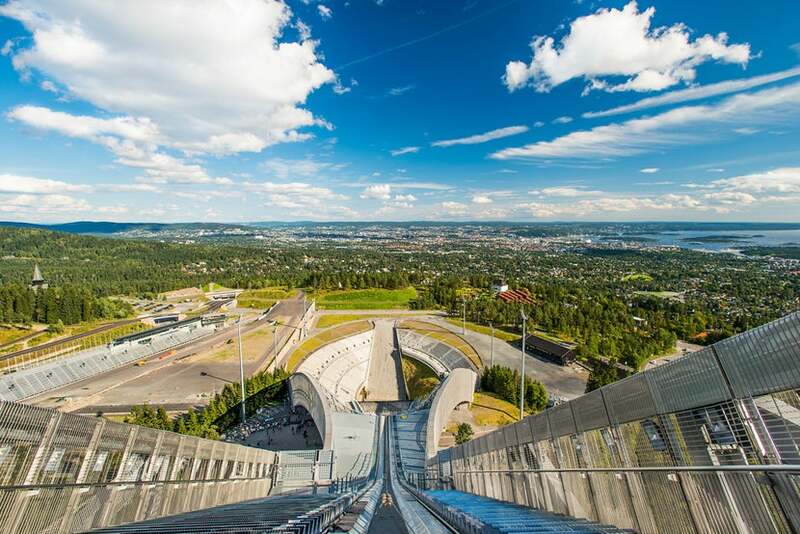 Even without any events, Oslo’s Holmenkollen ski jump is a thrill. Image courtesy of Shutterstock. 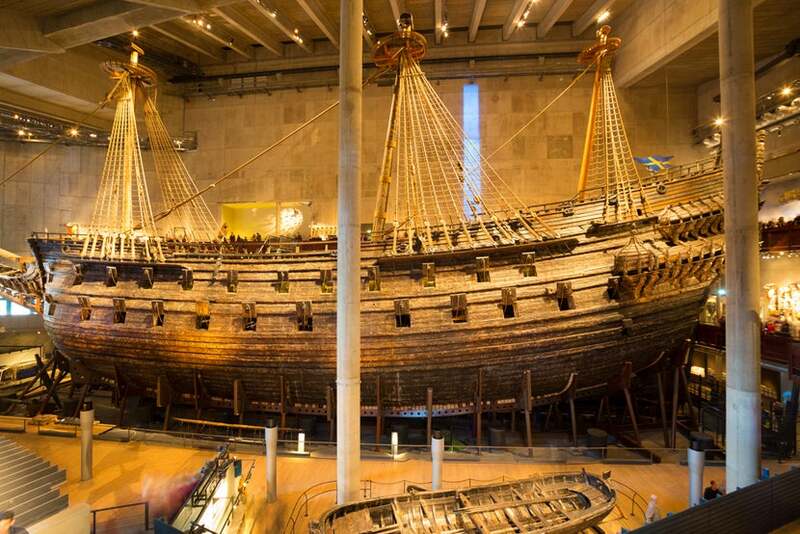 Sail back into the Viking era at Stockholm’s amazing Vasa Museum. Image courtesy of Shutterstock. Emmaus Vintage & Emmaus Second Hand. I found some great stuff for a great cause at the Emmaus Second Hand shop. While the inventory is a slight notch above the usual well-stocked thrift store, the smaller vintage boutique downstairs offers a curated selection of high-fashion brands. Blå Porten Cafe. While my travel buddy, Mike, immersed himself in the Abba Museum, I was equally delighted by the restaurant next door. Situated in and around a shady courtyard, the cafe offers a long table of freshly made treats on the way to placing your order at a counter. I had the Swedish meatballs (when in ‘holm …) and didn’t leave behind a morsel (142 SEK or $16). Whether for a full meal or a little snack, Blå Porten is a welcome oasis on Djurgården. 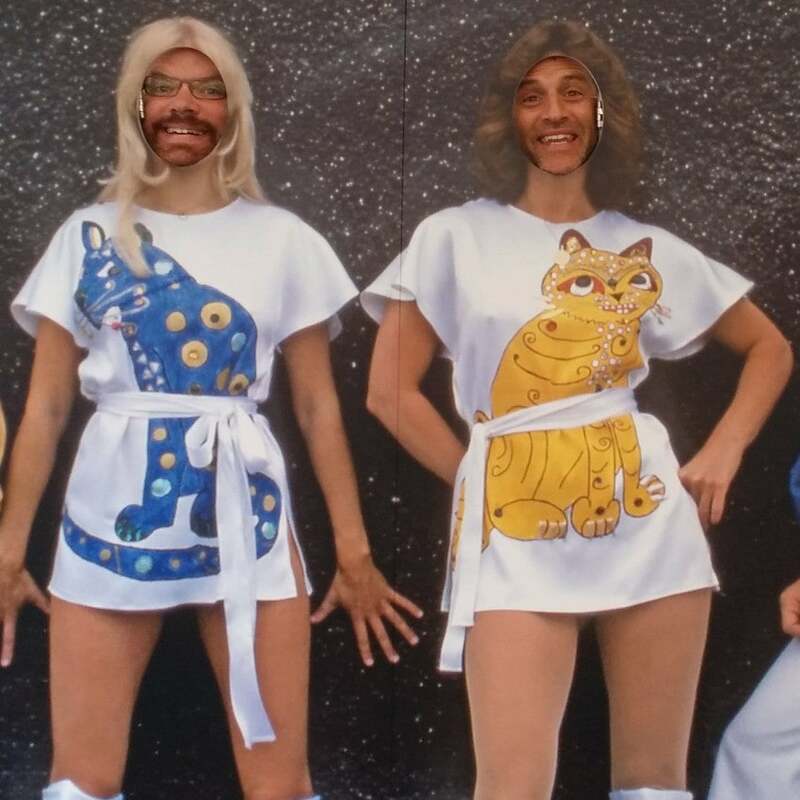 The author (left) and his pal Mike at Stockholm’s ABBA Museum … immersed in Scandinavian culture. Whether it’s art, food, views, history or shopping, you’ll find plenty of memorable experiences in Copenhagen, Oslo and Stockholm — and you should be sure to take lots of memorable photos! What are your favorite spots in these Nordic capitals? Please share with us in the comments below.